Research done by the American Psychological Association has shown us that most people in America experience regular stress levels that are considered unhealthy. Now, when people think about the implications of stress on their health, they're usually thinking of issues with the heart or vascular systems, not oral health. High levels of stress can cause mild to severe issues in the mouth, teeth, and gums. In this post, we will look at some of the most common oral health issues that come from high levels of stress. While the exact cause of canker sores has not been definitively determined, there is a clear, direct correlation between high levels of stress and mouths breaking out with painful sores and blisters. It's also common for canker sores to create an immune response which results in severely swollen neck glands that cause neck, jaw, and tooth pain. People who are stressed often clench or grind their teeth without even knowing they're doing it or how often they're doing it. The clenching and grinding often occurs during sleep which makes it even more difficult to recognize. A mouth guard may be necessary for those with high stress levels to protect their teeth while they sleep. It's common for people to use food to cope when they're stressed, and for most people it’s an extremely sweet dessert or soda filled with sugar they crave. This can cause tooth decay and overall feelings of lethargy. Stress also preoccupies the mind and may result in people taking less time to brush and floss their teeth. At Halonen Family Dentistry in Battle Creek, we know oral health is an important part of your overall health. Unfortunately, oral hygiene as a part of overall wellness is sometimes overlooked. 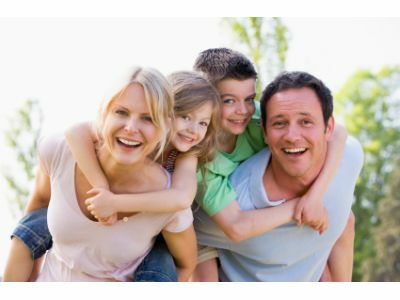 If you have been looking for a trusted family dentist in Battle Creek, do not hesitate to contact us today!